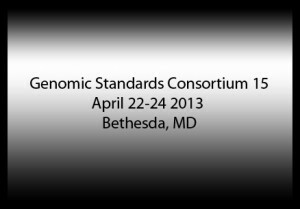 GSC 15, ‘Science enabled by Standards’, will be held on April 22-24, 2013 at the National Institute of Health (NIH), 9000 Rockville Pike, Bethesda, Maryland hosted locally by NCBI. Genomics is one of the premier examples of ‘Big Data’ owing to the rise of next generation sequencing which is producing unprecedented data streams. The rising tide of genomic data has increased the need for standards and the interoperability and increased re-usabilty that standards engender. Invited speakers will focus on how science has moved forward through the use and integration of standards and the need for integrated content as the volume of data continues to grow. Sloan Foundation’s Microbiology of the Built Environment. 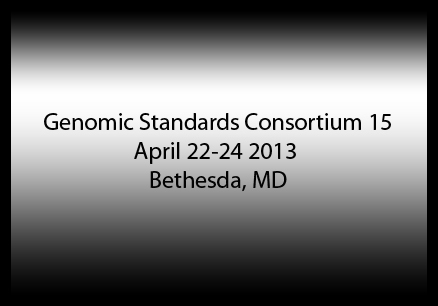 Registration through the GSC wiki, http://gensc.org, will open October 1, 2012. Meeting fees will be $250 up until January 1, 2013 and $300 thereafter. The registration site will provide information on the blocks of hotel rooms reserved for the conference. The NCBI campus is readily accessible through public transportation. Conference hotels will be within walking distance of the meeting venue.